Chancellor Lisa Brown participates in campus blood drive. The Inland Northwest Blood Center visits the WSU Spokane campus quarterly. WSU Health Sciences Spokane believes community involvement is an integral part of how we give back to the community that surrounds and supports us. As a result, WSU Spokane partners with a variety of non-profit and community-based organizations that are providing resources that benefit everyone in our region, including our students. The NCAI held its 2016 Mid-Year Conference and Marketplace in Spokane. The conference theme, “Changing Climates, Inspiring Hope,” brought more than 1,000 tribal leaders and officials to Spokane. WSU works to increase Native American student recruitment and retention and also coordinates with and promotes initiatives on campus that benefit Native students and encourage responsible research and interaction with tribes. WSU Spokane supports the engaging learning environment and hands-on science exhibits of this new facility in downtown Spokane. This community-backed facility makes learning fun for all ages. Inspired by Spokane native and WSU alumnus Steve Gleason, this annual festival in Spokane’s Riverfront Park raises money for the Gleason Initiative Foundation which provides life improving technology and services to those afflicted with ALS, while creating global awareness for the disease. Unity in the Community is the largest multi-cultural event in the Inland Northwest. As a career and education event partner, WSU Spokane believes in showcasing Spokane’s diversity and bringing the community together through respect, trust and collaboration. Bridging the gap between health care and health policy is the focus of State of Reform, a West Coast initiative that held its annual Inland Northwest conference in Spokane in September. It is also a focus for WSU Spokane as it takes on leading roles in health education and research. 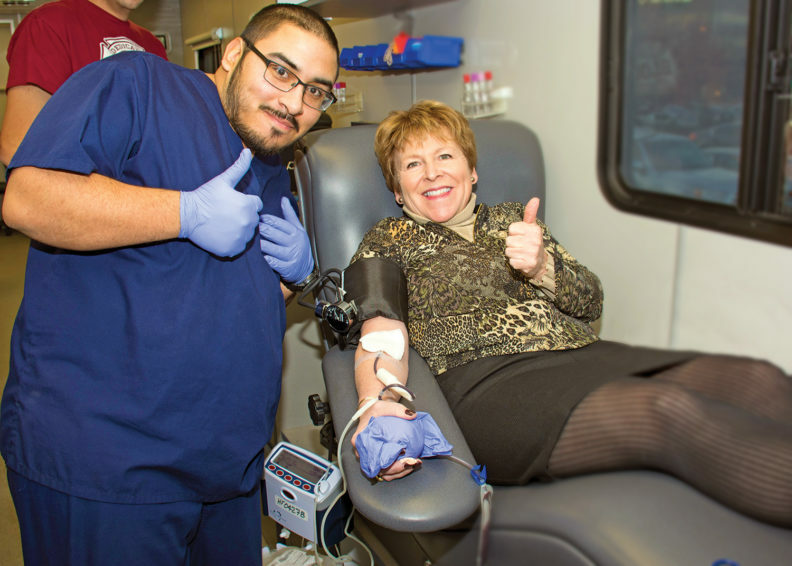 WSU Spokane hosts quarterly blood drives involving students, staff, faculty and community members. Every day, 200 donors are needed to ensure a safe supply of blood in Spokane. It is a great way to support our community. 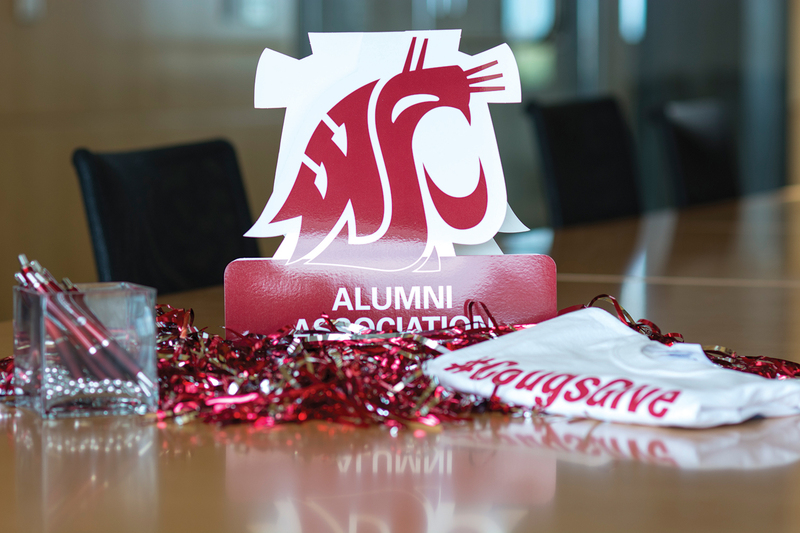 Alumni chapters give you the opportunity to network with fellow Cougs and reconnect with Washington State University. The Spokane WSU alumni chapter, known as the Greater Inland Empire Chapter, hosts many events throughout the year. From football viewing parties to tours of the WSU Spokane campus, there is something for everyone to enjoy. Check out some of the recent events in which Spokane area alumni connected with WSU Health Sciences Spokane. Dozens of WSU alumni enjoyed networking while getting the opportunity to hear Chancellor Lisa Brown speak at downtown Spokane’s Steam Plant Grill. Brown updated local alumni on many of the exciting changes happening on the health sciences campus, including the latest information on the Elson S. Floyd College of Medicine, the Spokane Teaching Health Clinic, and the world-class research occurring. Alumni visited the WSU Health Sciences Spokane campus for a tour of the College of Nursing’s Center for Clinical Performance and Simulation. The simulation lab is a high-tech facility that provides realistic patient care scenarios. In delivering educationally sound, simulated learning experiences to students and partners, the simulation clinic is advancing the clinical competence of the healthcare workforce within WSU and our communities. Alumni enjoyed a WSU-themed social after the tour. Want to attend Spokane area alumni events? Check out the WSU Alumni Greater Inland Empire Facebook page for upcoming events and information. Visit alumni.wsu.edu for the latest information on the WSU Alumni Association.